4 min. walk to beach!! Updated, shabby chic, in heart of it all...great reviews! Look no further...The reviews say it all! 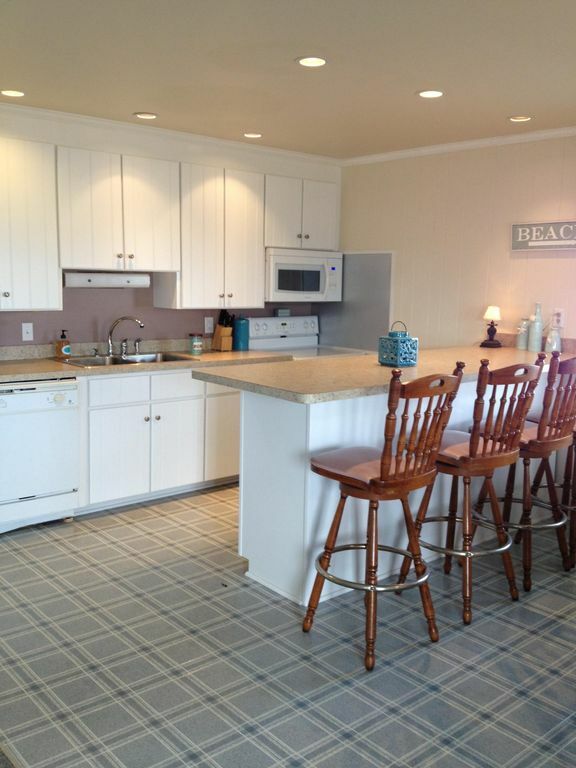 If you want to be within walking distance to the beach, close to many restaurants and attractions, be in the heart of the Outer Banks, then Tip Sea is the place for you. 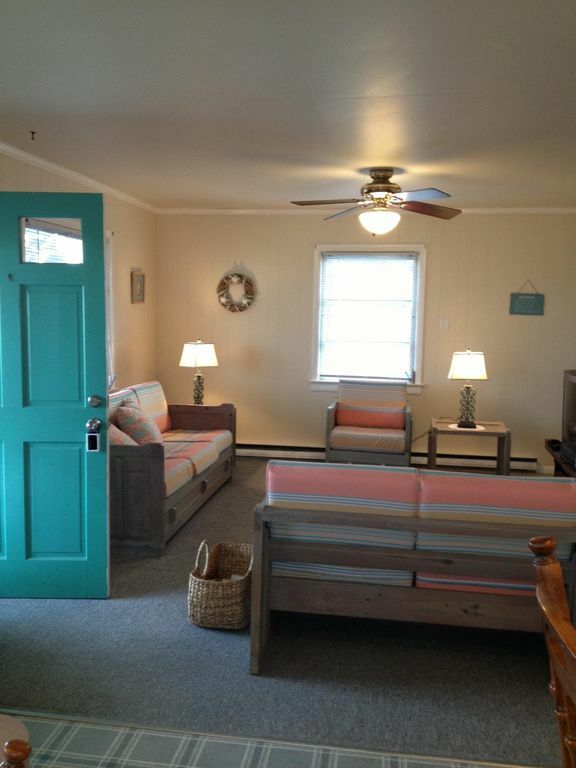 Updated with lighter paint colors and shabby chic decor and furniture, it is centrally located at milepost 9.5. Tip Sea is in a great location not only to the beach, but also within walking distance to restaurants, grocery stores, and shopping. 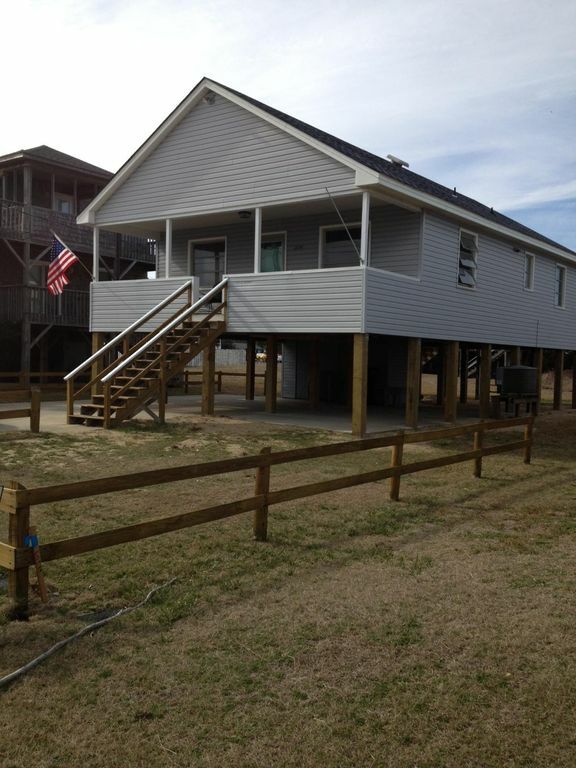 It is a straight shot to the beach road, with a choice of two beach accesses. 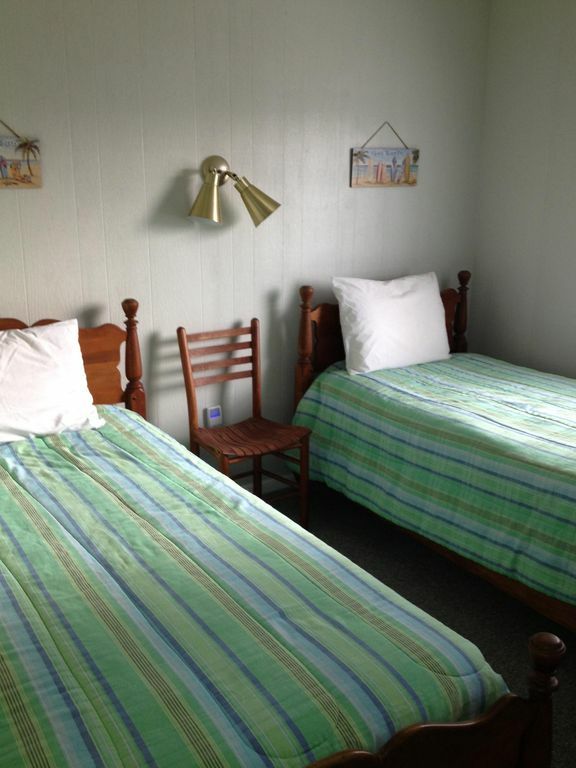 The cottage has three bedrooms, two queen beds, and two twins. 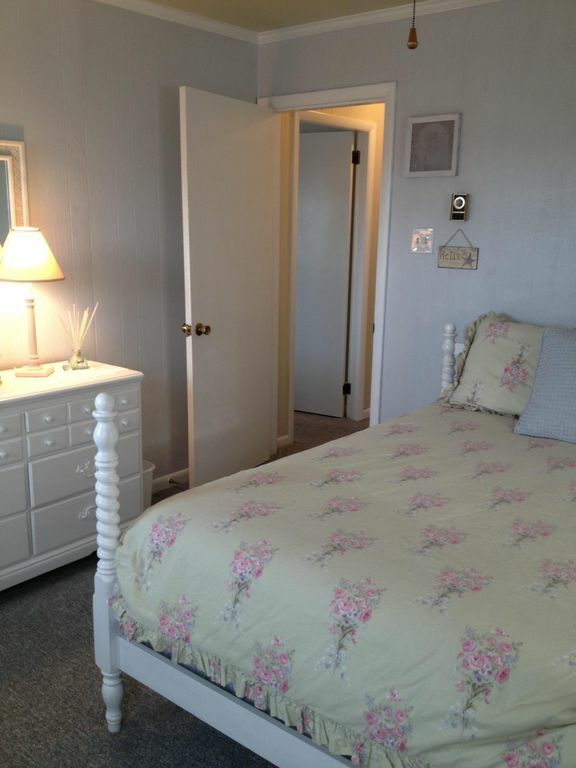 There are two full bathrooms, with one connected to the master bedroom. 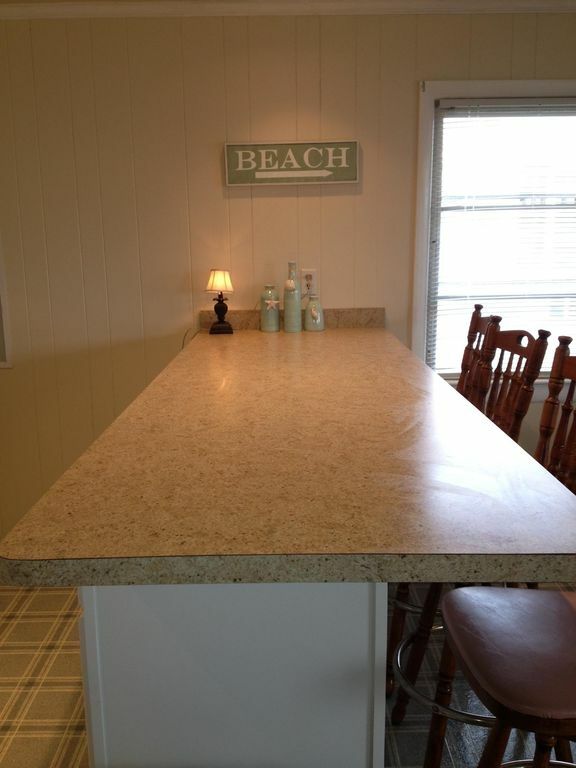 The updated kitchen, which overlooks the family room, has the perfect bar/island which can seat up to five people, with more standing around. 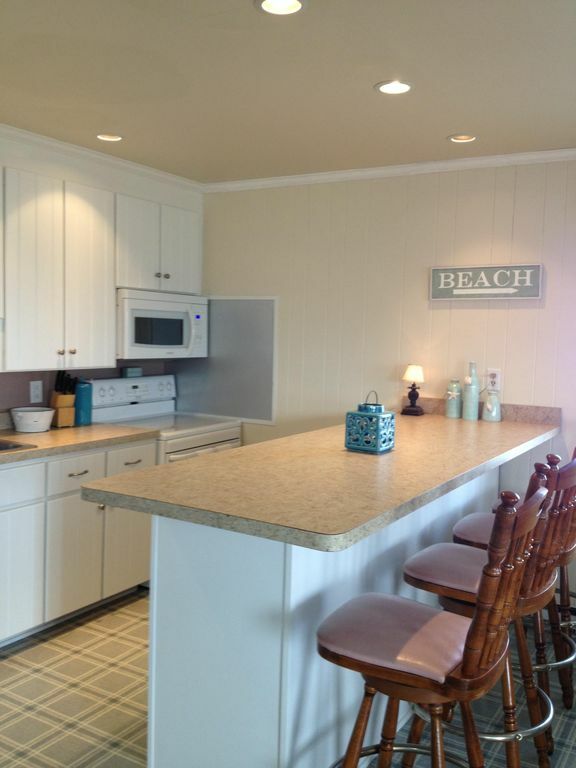 After a long day on the beach or an early sunrise, Tip Sea has a wonderful covered front porch to sit and relax, or to make use of the picnic table, maybe for those nights where you want to spread some seafood and watch the sunset. There is also an outdoor basketball hoop as well. . There is a basketball hoop for those days anyone needs to show off their Micheal Jordan moves. The cottage is stocked with all your vacation needs. 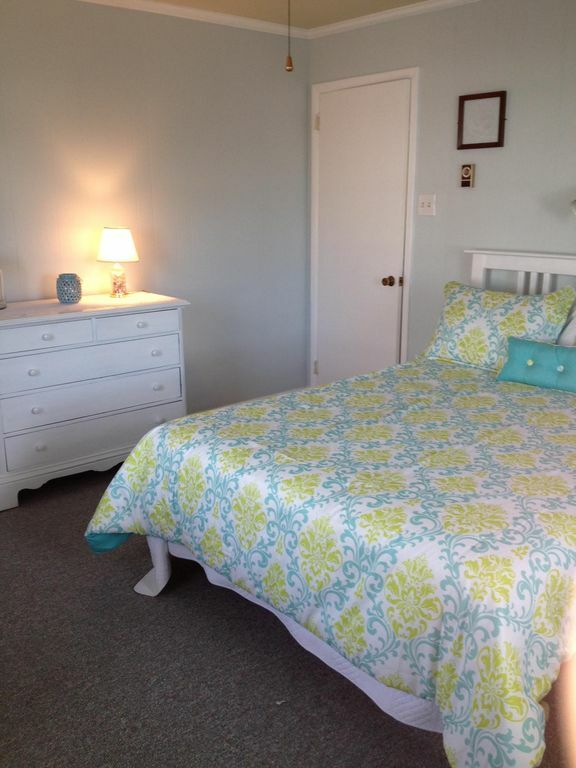 Linens and necessities (toilet paper, paper towels/detergent/etc.) are not included, but you can rent linens if needed with the rental company located on our street (additional charge with them), or you can bring your own. 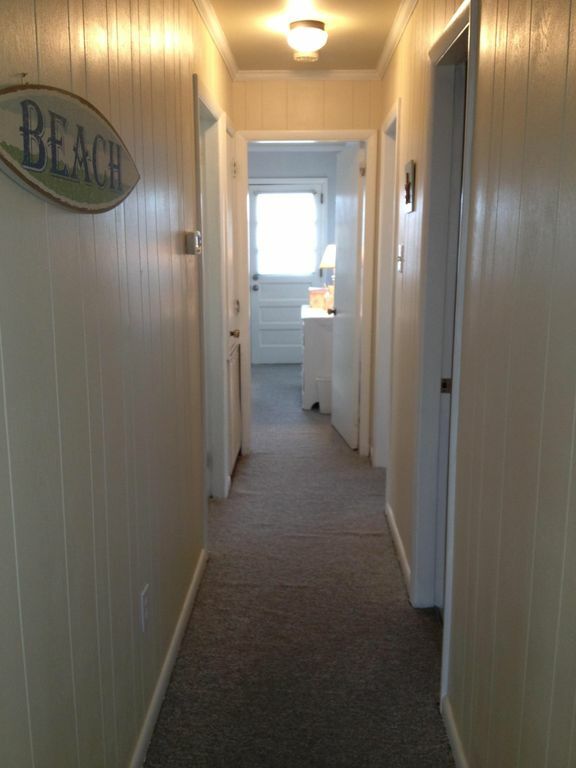 Outside there is an enclosed shower, so you can rinse off straight from the beach. There are a few beach chairs, or you may choose to bring your own, or rent some from the rental shop. There is a charcoal grill if you want to grab a steak/oysters/shrimp from the Harris Teeter across the street. On those rainy nights, Tip Sea provides a variety of family games, WiFi, DVD player (Redbox at Harris Teeter or choose from my dvds at the cottage), and cable t.v. We hope that you feel at home the minute you walk into Tip Sea, and we want you to have the most relaxing vacation ever. It doesn't get much better than this. Grab a bag, pack some flops, and Tip Sea will be waiting.